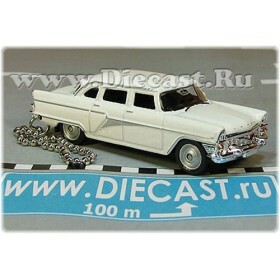 This brilliant, highly detailed 1/38 scale model of the nowadays Chevrolet Caprice Russian ( ex. 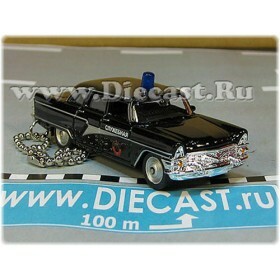 USSR ) Police Patrol DPS vehicle is a must have for any police or emergency models collector. 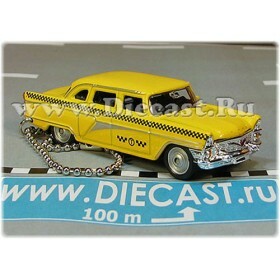 It carries the official paint scheme of the Russian Police Patrol DPS department. They also can do some work as a traffic police, but their main direction is patrolling the streets, working on crime scenes & etc. They are also used by the guards while escorting government limousines. This Police Patrol DPS livery is widely used in Russia since 1991. Many of such vehicles can be seen on the streets of every Russian town nowadays.